Quick Steps: Membership > Transfers > Network Search > Locate Member > Request Transfer. The organisation that the member wishes to transfer TO must request the transfer. Please note, if the member currently has a record within your organisation (either Active, Inactive or Online) they will not appear in Network Search. 3. Within the Transfers tab, select Network Search. 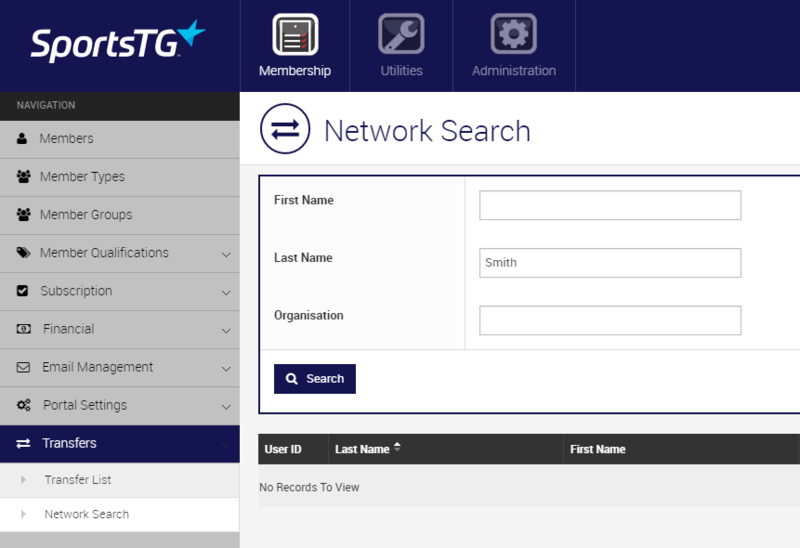 Network Search allows you to locate any members that sit within the national database, and is the first step in the transfer request process. 4. Type in the member's first name, or last name, or organisation, or a combination of this information and select Search. 5. A list of any members that match your entered criteria will appear with their relevant information. 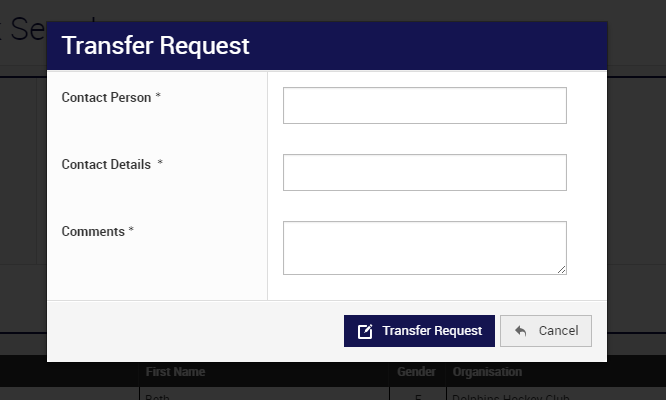 Once you have located the member that wishes to transfer into your organisation, select Request Transfer against the relevant member record. 6. Enter in the Contact Person, Contact Details and comments relating to the transfer. The organisation that the member wishes to transfer OUT of will be able to view this when they action the transfer in the database. 7. Click on Request Transfer, and then click on OK when the confirmation screen appears. 8. The transfer request has now been lodged, and an automatic email will be sent to the database administrator at the member's original club advising that the request has been lodged. 9. To view the transfer you have requested, please navigate back to the tab called Transfers List on the left side menu. 10. The transfer will appear in the 'Pending Response From' listing, click View.